The best approaches for preventing these problems will depend on your local climate and the style of your home’s construction. However these are very useful tips. It would be great if you can provide more details about it. Make sure to fix any cracks in the foundation wall with crack injection materials. 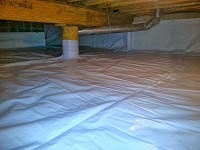 A crack is another way for water to penetrate the crawl space especially if you decide to seal a vented crawl space.